“Yarrow” redirects here. For other uses, see Yarrow (disambiguation). Achillea cristata Hort. ex DC. Achillea marginata Turcz. ex Ledeb. Achillea occidentalis (DC.) Raf. ex Rydb. Achillea pseudo-tanacetifolia Wierzb. ex Rchb. Achillea sordida (W.D.J.Koch) Dalla Torre & Sarnth. Achillea virgata Hort. ex DC. Achillea millefolium, commonly known as yarrow /ˈjæroʊ/ or common yarrow, is a flowering plant in the family Asteraceae. It is native to temperate regions of the Northern Hemisphere in Asia, Europe, and North America. It has been introduced as a feed for livestock in places like New Zealand and Australia, where it is a common herb of both wet and dry areas, such as roadsides, meadows, fields and coastal places. In New Mexico and southern Colorado, it is called plumajillo (Spanish for ‘little feather’) from its leaf shape and texture. In antiquity, yarrow was known as herbal militaris, for its use in stanching the flow of blood from wounds. Other common names for this species include gordaldo, nosebleed plant, old man’s pepper, devil’s nettle, sanguinary, milfoil, soldier’s woundwort, thousand-leaf, and thousand-seal. Clusters of 15 to 40 tiny disk flowers surrounded by three to eight white to pink ray flowers are, in turn, arranged in a flat-topped inflorescence (Wenatchee Mountains, Washington). Achillea millefolium is an erect, herbaceous, perennial plant that produces one to several stems 0.2–1 m (0.66–3.28 ft) in height, and has a spreading rhizomatous growth form. Leaves are evenly distributed along the stem, with the leaves near the middle and bottom of the stem being the largest. The leaves have varying degrees of hairiness (pubescence). The leaves are 5–20 cm (2.0–7.9 in) long, bipinnate or tripinnate, almost feathery, and arranged spirally on the stems. The leaves are cauline, and more or less clasping. The inflorescence has 4 to 9 phyllaries and contains ray and disk flowers which are white to pink. The generally 3 to 8 ray flowers are ovate to round. Disk flowers range from 15 to 40. The inflorescence is produced in a flat-topped capitulum cluster and the inflorescences are visited by many insects, featuring a generalized pollination system. The small achene-like fruits are called cypsela. The plant has a strong, sweet scent, similar to that of chrysanthemums. Achillea millefolium after a wildfire in the Wenatchee foothills, Washington. Yarrow grows from sea level to 3,500 metres (11,500 ft) in elevation. The plant commonly flowers from May to July. Common yarrow is frequently found in the mildly disturbed soil of grasslands and open forests. Active growth occurs in the spring. The plant is native to Eurasia and is found widely from the UK to China. In North America, both native and introduced genotypes, and both diploid and polyploid plants are found. It is found in every habitat throughout California except the Colorado and Mojave Deserts. Common yarrow produces an average yield of 43,000 plants per acre, with a total dry weight of 10,500 lbs. The plant is found in Australia as an introduction. Several cavity-nesting birds, including the common starling, use yarrow to line their nests. Experiments conducted on the tree swallow, which does not use yarrow, suggest that adding yarrow to nests inhibits the growth of parasites. Achillea millefolium is a food source for many species of insects. The larvae of the moths Bucculatrix clavenae, B. cristatella, B. fatigatella, B. humiliella, B. latviaella, Cnephasia abrasana, Cochylimorpha elongana, Coleophora argentula, C. carelica, C. ditella, C. expressella, C. follicularis, C. gardesanella, C. millefolii, C. partitella, C. ptarmicia, C. quadristraminella, C. succursella, C. vibicigerella, Depressaria olerella, D. silesiaca, Dichrorampha alpinana (broad-blotch drill), D. petiverella, D. vancouverana (tanacetum root moth), Eupithecia millefoliata (yarrow pug), E. nanata (narrow-winged pug), Gillmeria pallidactyla, Idaea pallidata, Isidiella nickerlii, Loxostege manualis, Phycitodes maritima, P. saxicola, Pyncostola bohemiella, Sophronia sicariellus and Thetidia smaragdaria (Essex emerald) feed on Achillea millefolium in Europe. The larvae of Chlorochlamys chloroleucaria (blackberry looper), Coleophora quadruplex and Sparganothoides lentiginosana (lentiginos moth) feed on A. millefolium in North America. Other species of moths with a more cosmopolitan distribution include Aethes smeathmanniana (Smeathmann’s aethes moth), Chloroclystis v-ata (v-pug), Choristoneura diversana, Cochylidia richteriana, Epiblema graphana, Eupithecia succenturiata (bordered pug), E. vulgata (common pug), Jordanita budensis and Thiodia citrana (lemon bell). Cassida denticollis, Galeruca tanaceti, Hypocassida subferruginea and Phytoecia virgula are cosmopolitan species of beetles that feed on A. millefolium. Chrysanthia viridissima is a European species whose adults can be found feeding on pollen and nectar. Trichodes ornatus (ornate checkered beetle) is a species found in North America whose adults can be found feeding on A. millefolium. Horistus orientalis is a species of plant bugs that feed on A. millefolium. Hedychrum rutilans is a species of cuckoo wasps whose adults can be found feeding on A. millefolium in Europe and North Africa. Achillea millefolium is cultivated as an ornamental plant by many plant nurseries. It is planted in gardens and natural landscaping settings of diverse climates and styles. They include native plant, drought-tolerant, and wildlife gardens. The plant is a frequent component of butterfly gardens. The plant prefers well-drained soil in full sun, but can be grown in less ideal conditions. For propagation, seeds require light for germination, so optimal germination occurs when planted no deeper than one-quarter inch (6 mm). Seeds also require a germination temperature of 18–24 °C (64–75 °F). It has a relatively short life in some situations, but may be prolonged by division in the spring every other year, and planting 12 to 18 in (30–46 cm) apart. It can become invasive. The species use in traditional gardens has generally been superseded by cultivars with specific ‘improved’ qualities. Some are used as drought tolerant lawn replacements, with periodic mowing. The many different ornamental cultivars include: ‘Paprika’, ‘Cerise Queen’, ‘Red Beauty’, ‘Red Velvet’, ‘Saucy Seduction’, ‘Strawberry Seduction’ (red), ‘Island Pink’ (pink), and ‘Calistoga’ (white), and ‘Sonoma Coast’ (white). Several, including ‘Kelwayi’, and ‘Lansdorferglut’ (both pink) have gained the Royal Horticultural Society‘s Award of Garden Merit. The many hybrids of this species designated Achillea x taygetea are useful garden subjects, including: ‘Appleblossom’, ‘Fanal’, ‘Hoffnung’, and ‘Moonshine’. Its essential oil contains chemicals called proazulenes. 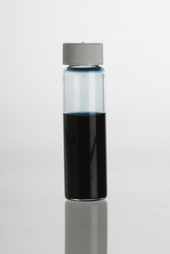 The dark blue essential oil kills the larvae of the mosquito Aedes albopictus. Opopanax, also known as opobalsam, refers to a number of gum resins, including the one from A. millefolium. It is traditionally considered to have medicinal properties. Some pick-up sticks are made of yarrow. Yarrow is considered an especially useful companion plant, repelling some pest insects while attracting good, predatory ones. It attracts predatory wasps, which drink the nectar and then use insect pests as food for their larvae. Similarly, it attracts ladybirds and hoverflies. A. millefolium can be planted to combat soil erosion due to the plant’s resistance to drought. Before the arrival of monocultures of ryegrass, both grass leys and permanent pasture always contained A. millefolium at a rate of about 0.3 kg/ha. At least one of the reasons for its inclusion in grass mixtures was its deep roots, with leaves rich in minerals. Thus its inclusion helped to prevent mineral deficiencies in the ruminants to which it was fed. It was introduced into New Zealand as a drought-tolerant pasture. It is very prevalent. In the Middle Ages, yarrow was part of a herbal mixture known as gruit used in the flavoring of beer prior to the use of hops. The flowers and leaves are used in making some liquors and bitters. A. millefolium has seen historical use as in traditional medicine, often because of its astringent effects. The herb is purported to be a diaphoretic, astringent, tonic, stimulant and mild aromatic. It contains isovaleric acid, salicylic acid, asparagin, sterols, and flavonoids. The genus name Achillea is derived from mythical Greek character, Achilles, who reportedly carried it with his army to treat battle wounds. This medicinal use is also reflected in some of the common names mentioned below, such as staunchweed and soldier’s woundwort. Traditional names for A. millefolium include arrowroot, bad man’s plaything, bloodwort, carpenter’s weed, death flower, devil’s nettle, eerie, field hops, gearwe, hundred leaved grass, knight’s milefoil, knyghten, milefolium, milfoil, millefoil, noble yarrow, nosebleed, old man’s mustard, old man’s pepper, sanguinary, seven year’s love, snake’s grass, soldier, soldier’s woundwort, stanchweed, thousand seal, woundwort, yarroway, yerw. The English name yarrow comes from the Saxon (Old English) word gearwe, which is related to both the Dutch word gerw and the Old High German word garawa. Yarrow and tortoiseshell are considered to be lucky in Chinese tradition. In classical Greece, Homer tells of the centaur Chiron, who conveyed herbal secrets to his human pupils, and taught Achilles to use yarrow on the battle grounds of Troy. In the Hebrides a leaf held against the eyes was believed to give second sight. A bunch of 50 yarrow Achillea millefolium subsp. millefolium var. millefolium stalks, used for I Ching divination. The stalks are dried and used as a randomising agent in I Ching divination. Yarrow and its North American varieties were traditionally used by many Native American nations across the continent. The Navajo historically considered it a “life medicine” and chewed the plant for toothaches and used its infusions for earaches. The Miwok in California use the plant as an analgesic and head cold remedy. Common yarrow is used be Plains Indigenous peoples, such as the Pawnee, who use the stalk for pain relief. The Cherokee drink a tea of common yarrow to reduce fever and aid in restful sleep. The occidentalis variety is used medicinally by the Zuni people. The blossoms and root are chewed and the juice applied before fire-walking or fire-eating. A poultice of the pulverized plant is mixed with water and applied to burns. The Ojibwe people historically sprinkled a decoction of yarrow leaves on hot stones and inhaled it to treat headaches, as well as applied decoctions of the root onto skin for its stimulant effect. They also smoked its florets for ceremonial purposes, as well as placed them on coals and inhaled their smoke to break fevers. In rare cases, yarrow can cause severe allergic skin rashes; prolonged use can increase the skin’s photosensitivity. This can be triggered initially when wet skin comes into contact with cut grass and yarrow together. According to the ASPCA, yarrow is toxic to dogs, cats, and horses, causing vomiting, diarrhea, depression, anorexia, and hypersalivation. In a standard rodent model for reproductive toxicity, aqueous extracts of yarrow produced a significant increase in the percentage of abnormal sperm. Chamazulene and δ-Cadinol are chemical compounds found in A. millefolium. The chromophore of azulene was discovered in yarrow and wormwood and named in 1863 by Septimus Piesse. Illustration in Koehlers Medizinal-Pflanzen in naturgetreuen Abbildungen und kurz erläuterndem Texte (Franz Eugen Köhler; 1883–1914). A. millefolium — flower closeup. Achillea millefolium at BioTrek, California State Polytechnic University, Pomona. Field of yarrow in Russia. ^ a b c d e f Gualtiero Simonetti (1990). Stanley Schuler, ed. Simon & Schuster’s Guide to Herbs and Spices. Simon & Schuster, Inc. ISBN 978-0-671-73489-3. ^ a b c “RNZIH – Horticulture Pages – Weeds – Achillea millefolium – yarrow”. www.rnzih.org.nz. Retrieved 2015-09-02. ^ a b c d Flora of North America Editorial Committee (ed.). “Achillea millefolium“. Flora of North America North of Mexico (FNA). New York and Oxford. Retrieved 31 January 2013 – via eFloras.org, Missouri Botanical Garden, St. Louis, MO & Harvard University Herbaria, Cambridge, MA. ^ Van Der Kooi, C. J.; Pen, I.; Staal, M.; Stavenga, D. G.; Elzenga, J. T. M. (2015). “Competition for pollinators and intra-communal spectral dissimilarity of flowers” (PDF). Plant Biology. 18 (1): 56–62. doi:10.1111/plb.12328. PMID 25754608. ^ Alan S. Weakley (April 2008). “Flora of the Carolinas, Virginia, and Georgia, and Surrounding Areas”. ^ Calflora database: Achillea millefolium . Accessed 31 January 2013. ^ Bert Wilson (29 July 2012). “Las Pilitas Nursery horticultural treatment: ‘'Achillea millefolium’' var. ‘'californica’'”. Laspilitas.com. Retrieved 19 May 2013. ^ USDA Plants Profile for Achillea millefolium var. occidentalis (western yarrow). Accessed 31 January 2013. ^ USDA Plants Profile for Achillea millefolium var. puberula . Accessed 31 January 2013. ^ Shutler D, Campbell AA (2007). “Experimental addition of greenery reduces flea loads in nests of a non-greenery using species, the tree swallow Tachycineta bicolor”. Journal of Avian Biology. 38 (1): 7–12. doi:10.1111/j.2007.0908-8857.04015.x. ^ “Missouri Botanical Garden horticultural treatment: Achillea millefolium“. Retrieved 31 January 2013. ^ “Fine Gardening magazine Plant Guide — Achillea millefolium (Yarrow)”. Retrieved 31 January 2013. ^ a b “Lady Bird Johnson Wildflower Center Native Plant Database: Achillea millefolium (common yarrow)”. Retrieved 31 January 2013. ^ USDA, NRCS. 2006. The PLANTS Database (http://plants.usda.gov, 22 May 2006). National Plant Data Center, Baton Rouge, LA 70874-4490 USA. ^ RHS A-Z encyclopedia of garden plants. United Kingdom: Dorling Kindersley. 2008. p. 1136. ISBN 978-1-4053-3296-5. ^ San Marcos Growers horticulture — The Yarrow Lawn. Accessed 31 January 2013. ^ “Missouri Botanical Garden horticultural treatment: ‘'Achillea millefolium’' ‘Paprika‘“. Missouribotanicalgarden.org. Retrieved 19 May 2013. ^ “Missouri Botanical Garden horticultural treatment: ‘'Achillea millefolium’' ‘Red Beauty‘“. Missouribotanicalgarden.org. Retrieved 19 May 2013. ^ Bert Wilson (8 January 2012). “Las Pilitas Nursery: ‘'Achillea millefolium rosea’' Island Pink (Pink Yarrow)”. Laspilitas.com. Retrieved 19 May 2013. ^ “California Natives Wiki: ‘'Achillea millefolium’' ‘Calistoga‘“. Theodorepayne.org. 19 August 2010. Retrieved 19 May 2013. ^ “California Natives Wiki: ‘'Achillea millefolium’' ‘Sonoma Coast‘“. Theodorepayne.org. 19 August 2010. Retrieved 19 May 2013. ^ “RHS Plant Selector Achillea millefolium ‘Kelwayi’ / RHS Gardening”. Apps.rhs.org.uk. Retrieved 19 May 2013. ^ “RHS Plant Selector Achillea millefolium ‘Lansdorferglut’ AGM / RHS Gardening”. Apps.rhs.org.uk. Retrieved 19 May 2013. ^ Clausen, Ruth Rogers; Ekstrom, Nicolas H. (1989). Perennials for American gardens. New York: Random House. p. 4. ISBN 978-0-394-55740-3. ^ Monrovia Growers: Achillea x ‘Moonshine’ — Moonshine Yarrow. ^ Lanneskog, Thor (5 October 2015). “This Is Genuine Viking Beer”. ThorNews. Retrieved 5 October 2015. ^ a b c Alma R. Hutchens (1973). Indian Herbology of North America. Shambhala Publications. ISBN 978-0-87773-639-4. ^ Home Herbal: Cook, Brew & Blend Your Own Herbs. DK Pub. 2011. ISBN 978-0-7566-7183-9. ^ Yarrow. Oxford English Dictionary (2nd ed.). ^ “Chinese Superstitions”. Chinatownconnection.com. Retrieved 19 May 2013. ^ Homer. Iliad. pp. 11.828–832. ^ Margaret Baker (October 1971). Discovering the Folklore of Plants (revised ed.). Shire Publications. SBN 852630806. ^ “Introduction to the I Ching – By Richard Wilhelm”. Iging.com. Retrieved 19 May 2013. ^ Contact Dermatitis 1998, 39:271-272. ^ “Toxic and Non-Toxic Plants: Yarrow”. ASPCA. ^ Dalsenter P, Cavalcanti A, Andrade A, Araújo S, Marques M (2004). “Reproductive evaluation of aqueous crude extract of Achillea millefolium L. (Asteraceae) in Wistar rats”. Reprod Toxicol. 18 (6): 819–23. doi:10.1016/j.reprotox.2004.04.011. PMID 15279880.